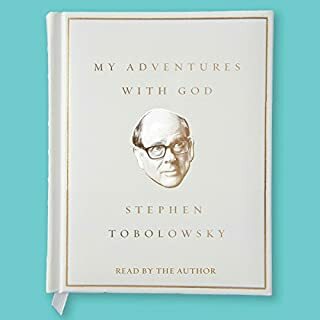 From legendary character actor Stephen Tobolowsky - who currently appears on The Goldbergs, HBO's Silicon Valley, and Norman Lear's new One Day at a Time, author of The Dangerous Animals Club and The Tobolowsky Files podcast - My Adventures with God is a funny, introspective collection about love, catastrophe, and triumph, all told through the lens of his evolving relationship with the mystery that is "God". Will Rogers, Spalding Gray, Alexandre Dumas HACKS! If you could sum up The Dangerous Animals Club in three words, what would they be? What was one of the most memorable moments of The Dangerous Animals Club? It happens a lot with the way Tobo crafts a tale. There is an A and B story line and they always intertwine at the end with a great "youseetimmy" Which of course is the morale to a given story. The term is derived from the end of Lassie episodes. "you see, Timmy...."
What does Stephen Tobolowsky bring to the story that you wouldn’t experience if you just read the book? His own experience. These stories are his own. He knows where to slow down, where to punch a line, where to pause. I can't imagine them told in any other voice. 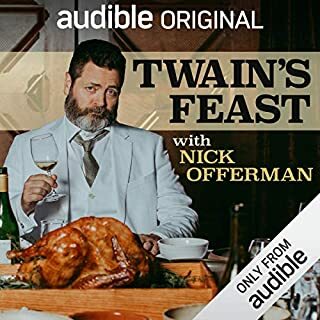 I honestly feel like I am a better human being for hearing this book, not to mention his podcast. I giggle, I get misty, even with repeated listens. 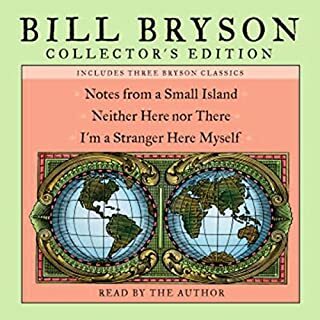 I have bought this book and the audiobook for family and friends, I suggest you do the same. I've had one cyber run in with the author. My daughter who was 11 at the time, was auditioning for a play and subsequently got the lead. She was freaking out about a fast approaching opening night and worried about learning all her lines. I had been a fan of the Tobolowsky Files podcast and I shot a tweet to him. Not only did he respond to my tweet, but he sent my daughter a long email spelling out different techniques for learning a script and preparing a part. Anybody in the industry that is as busy as he who takes that kind of personal time out for a fan who is thousands of miles away is a stand up guy in my book. 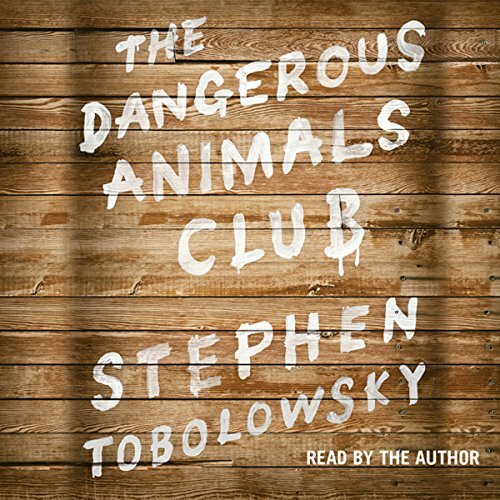 Where does The Dangerous Animals Club rank among all the audiobooks you’ve listened to so far? I have listened to hundreds of audiobooks. This one ranks in the top 5. What other book might you compare The Dangerous Animals Club to and why? Alan Alda's autobiography, a bit reminiscent of Bill Bryson in some ways. The humor, sheer storytelling talent and complex intellect of the author. His depth and ability to truly feel make him seem like a friend you wish you had. "The grandmother and the egg"
I'm not exactly sure what I could say to add to the reviews that have already been written. I should start out by saying that this is not usually the type of book I would buy, but did so on a recommendation of a friend (usually disastrous). 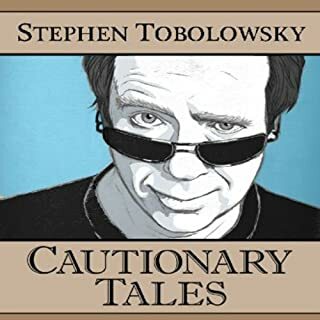 Since listening to this book, I have listened to every podcast of "The Tobolowsky Files" and can say that this man has found his true calling as a storyteller, teacher, and entertainer. I am familiar with his work as an actor, as most people are even if they don't know it (one of the recurring themes of the stories). I am a fan from "Californication" which, to me, is some of his funniest, finest work. His ability to open up his life to the reader/listener, both the painful and the triumphant, is astounding. I also highly recommend the movie form of his storytelling "Stephen Tobolowsky's Birthday Party." You get a strange sense that he has lived this life, and been put through these experiences by some higher order for the sole purpose of telling his story and entertaining the world. These stories are at times hilarious and, at other times, heartbreaking. There are instances where these aren't so easily separated and I found myself laughing through tears. He tells stories of himself as a boy, a boyfriend, an actor, a student, a teacher, an amateur exterminator, a husband, a friend, a drug user, a dog owner, a musician, and a hostage...sometimes all at once. These stories are always fascinating and have a unique sensibility. Even when about something mundane, they are never boring. I'm not sure that I would be willing to open myself up to the world and tell stories which seem so personal and, often times, embarrassing. I am glad the author was willing to do so. Never has encephalitis been so funny. The book is not a linear autobiography. Instead, it is a collection of stories that often jump in time period, but are ultimately linked. Usually, each story has a theme or lesson he has learned or is retelling through life experience. If this is your first listen to Mr. Tobolowsky, then go one step further and check out the podcast. 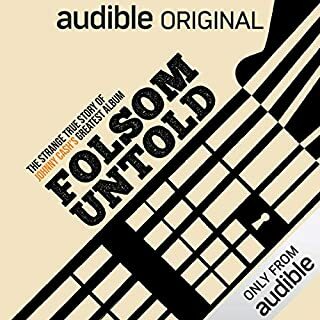 The stories in this book make up about the first 25 or so podcasts, but the podcasts often include slightly more information, as well as host/author banter. The book, in other words, is a more cleanly edited version of the podcasts with more fluid transitions between stories to try to make them more logically ordered for the reader. This book could only succeed with the author as a narrator. 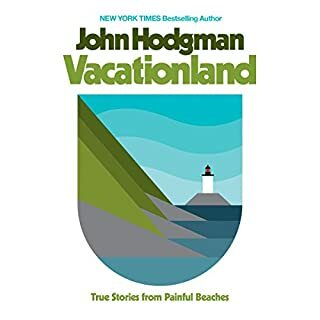 This narration is more polished then the podcast delivery, which often includes Mr. Tobolowsky laughing out loud or choking up. I appreciate and enjoy the emotion in the podcasts, and, while not completely absent in the book narration, is slightly more controlled. That may or may not be a good thing to some, especially those familiar with the podcast. His voice is full of expression, and you can often tell when he is smiling, frowning, or on the verge of tears, which gives the feeling that he is actually retelling the story and not reading the story. All in all, a beautiful, rare, and extremely special book that has me reflecting on my family, friends, and life like no other book has. I am stunned by how good this book is and how well it is read. I could not recommend it more. This book is far more entertaining and meaningful than most books on tape. Tobolowsky is not only an intelligent and perceptive observer of the human condition, but is consistently funny as he relates stories about his childhood, romantic relationships, family, and movie and television career. As a comic, Tobolowsky reminds me of the Canadian comic, Stuart MacLean (of "Dave Cooks the Turkey" fame). Great stuff! Stephen Tobolowsky is a phenomenal storyteller. I discovered Stephen Tobolowsky's writing and storytelling through his podcast. I'd recognized him as one of my favorite character actors, but never would have guessed him to be such a wellspring of touching, funny, intelligent, and profoundly moving stories. Tobolowsky occasionally veers into the realm of the corny, but this doesn't happen often, and I'll gladly pay that toll to hear his genuinely upbeat philosophy about life. Listening to him talk about his life and carrier is like sitting down and talking with a good friend. I strongly recommend this book, and Tobolowsky's storytelling in general. Extremely entertaining. Buy this book. Many laugh out loud moments. I'm glad the author was also the narrator. I wish this guy was my uncle. I've always really loved Tobolowsky as one of the nation's preeminent "It's that guy!" actors. Now I love him as a great storyteller, with a really interesting life. I also never had a fan that the group "Radio Head" ultimately owes Tobo for their name. But that's another bit of trivia. What did you love best about The Dangerous Animals Club? Its variety! Each story was truly something unique and different; there was certainly no predicting what would come next. Mr. Tobolowsky's honesty, candor, and humor. To choose a single "favorite" would be impossible because the book was highly entertaining. The stories that stand out the most in my mind having now finished the book are the scene from the grocery store and the scene involving the stray dog. The aforementioned for hitting me with something I definitely did not see coming, and the latter for absolutely tearing at my heartstrings and making me cry in car. Had that been a remote possibility, I wouldn't have ruled it out. Given that the book is almost 12 hours, that was not really going to happen. Would you consider the audio edition of The Dangerous Animals Club to be better than the print version? YES! I imagine it reads very well, but what makes the book so incredibly powerful is hearing it in Tobolowsky's own voice. There are many personal moments, some uplifting, some heartbreaking, and to hear Tobolowsky tell the tale with such passion and emotion made the book for me. Needless to say that is lost in the print version. The way Tobolowsky can make you laugh and cry and then laugh again, all in the space of a few minutes. This is one of the few audiobooks that I listened to again within days after finishing it. Considering it is nearly 12 hours long, that is high praise indeed! I just didn't want to be done with those stories. Stephen Tobolowsky’s “The Dangerous Animals Club” is a charming, insightful, and often funny memoir delivered in the form of non-chronological stories that somehow make perfect sense in their seemingly random sequence. As to be expected, some stories are better than others, but the really good ones are so captivating that I had to stop everything else I was doing and just listen in awe. The not-so-good ones were still okay. And while I was bored by his many bible references, they were short enough to be bearable. Stephen’s performance was funny and flawless.